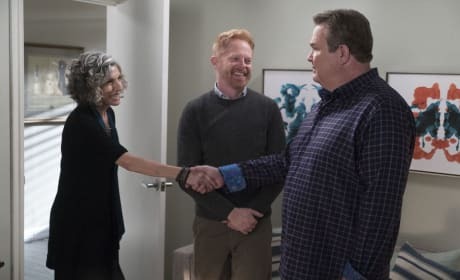 Cam ends up in therapy after his sister reveals a family secret on Modern Family. "He Said, She Shed" is the 11th episode of the show's ninth season. 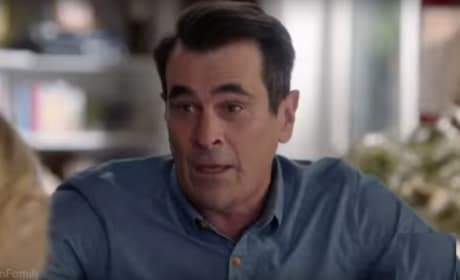 Phil struggles to keep a secret from Claire on Modern Family. 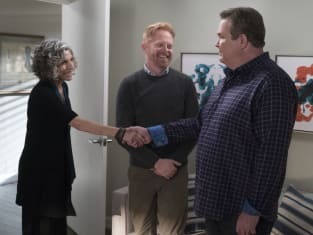 "He Said, She Shed" is the 11th episode of the show's ninth season.